Parkside is a new contemporary porcelain and ceramic tile showroom in Chelsea with over 500 designs on offer, and many exclusives, from some of the world’s most dynamic manufacturers. Unrivalled bespoke services include waterjet cutting, porcelain worktop fabrication and digital printing on to tiles. This design-led tile specification company serving architects, designers, contractors and developers has long been a trusted tile source to the UK contract market. PARKSIDE helps specify contemporary porcelain, ceramic and natural stone tiles for every type of project. With Design Studios in Clerkenwell, Chelsea and Leicester and a Design Studio coming soon to the Cotswolds, the team has over 200 years combined experience in helping to create original and innovative projects. We’ve been working with PARKSIDE across their PR and Social Media activity since 2017 supporting the development of the new brand, introducing it to the A&D community and planning activities. Last year PARKSIDE created a significant pop-up shipping container showroom for CDW18. 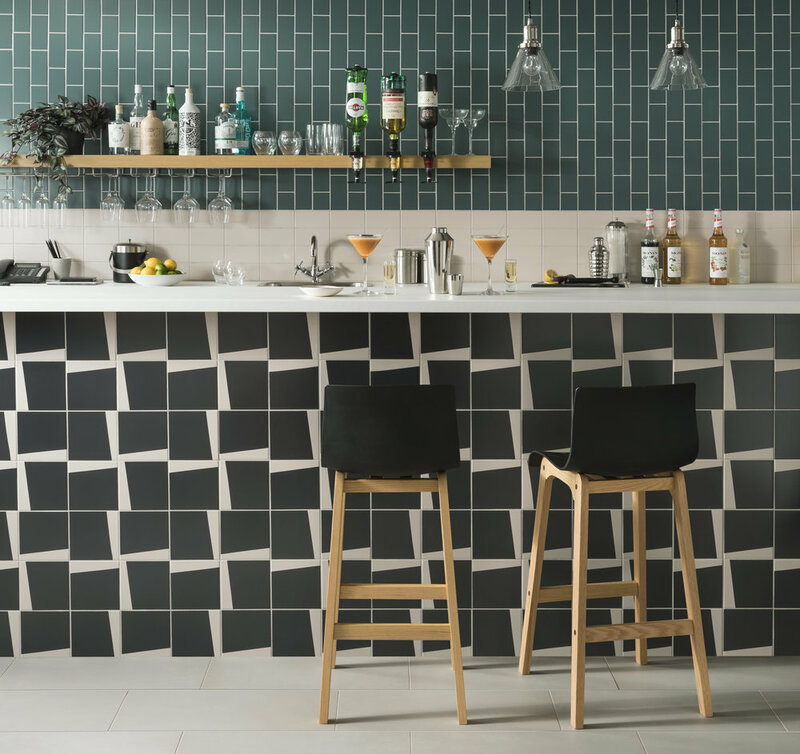 This year they are opening their new flagship Design Studio in Clerkenwell designed by Feix&Merlin Architects, launching a new collection of contemporary tiles by Tom Pigeon and will be part of CDW19 as a Showroom partner.